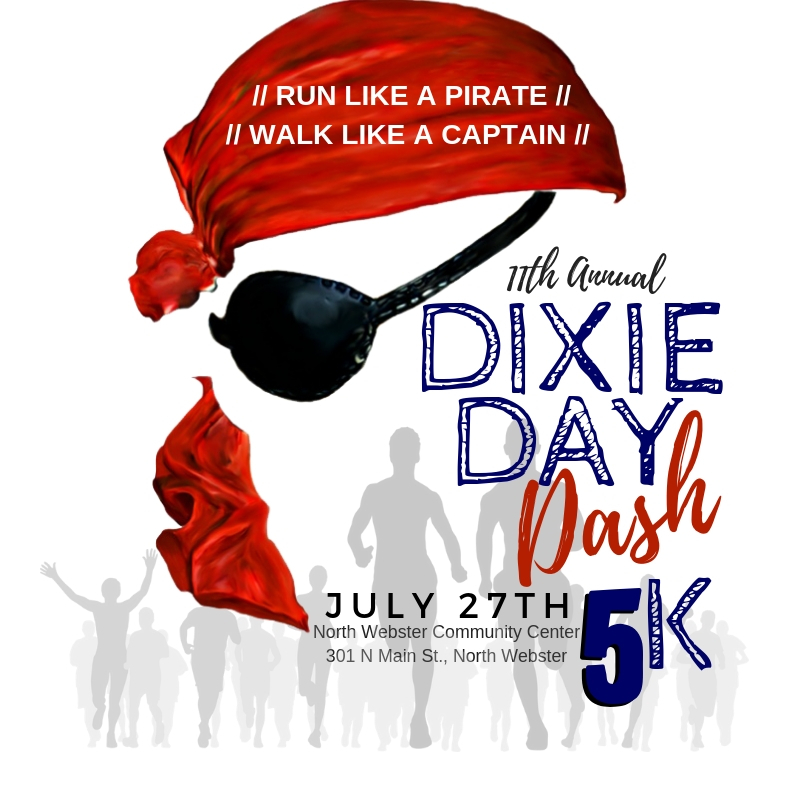 Join us for our 11th "Dixie Day Dash" in beautiful lake side North Webster, Indiana. This year's theme is Run Like a Pirate // Walk Like a Captain so wear your pirate, captain, or sailor digs for prizes. More competitive athletes, don't worry, this race is professionally timed by Kosciusko Runners Association and prizes will be given in the following age groups: Under 12; 13-19; 20-24; 25-29; 30-34; 35-39; 40-44; 45-49; 50-54; 55-59; 60-64; 65-69, 70+ in both male and female categories. This race supports the ongoing annual Dixie Days Festival. Pre-registration cost through 5/13: $20.00 // 5/14-7/25: $25.00 // Day of $28.00 Pre-registrations received by July 12th are guaranteed a FREE t-shirt. Cut off for online registration is July 25th. Registration starts at 6:45a.m. at the North Webster Community Center (301 N. Main St., North Webster, IN). Race ends at the park down by the Dixie Sternwheel. Following the race, enjoy the festivities downtown North Webster.